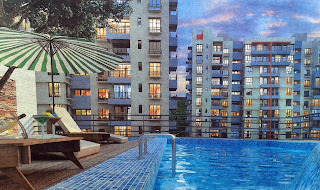 Buy New Flats Barasat, Kolkata Fortune Realty Fortune Heights new flat price rate costs charges Duplex Flat 2 BHK 3 BHK Flat Rooms size area Fortune Heights flats booking online, Barasat, Kolkata Fortune Heights Buy Flat details of Fortune Heights Barasat, Kolkata housing project, Property & Real Estate information, Duplex 2 BHK Flat Size Price & Facilities of Fortune Heights Flats in Barasat, Kolkata. Fortune Heights at Barasat, Kolkata has given the opportunity to the people of Kolkata and across Bengal to buy new flat at Barasat, Kolkata of Fortune Realty Real Estate Company. 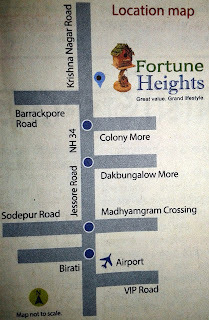 Those who are looking for New Property / Flat / House nearby Jessore Road, Dakbungalow More, Colony More, Airport, Birati, BT College, Badu Road Madhyamgram, Hridaypur areas of North Kolkata at cheap price rate; can now contact the head office of Fortune Realty to book new flat of Fortune Heights, Barasat, Kolkata. Let’s check out more details on Fortune Heights, Barasat, Kolkata. 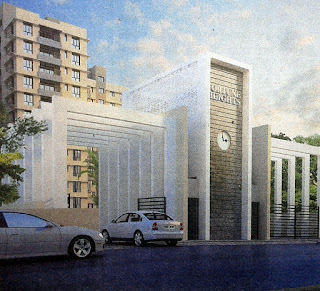 • Features Facilities & Advantages of Fortune Heights Housing Project, Barasat, Kolkata: - Jogging Track, Lift Service, Swimming Pool, 6 acres of Lush green landscaped lawn, 70% area open to the skies, community hall, gymnasium, children’s play area, CCTV for Security reasons, Intercom for security safety, 24-hours water supply, 24-hours power backups, and many other common facilities are available at Fortune Heights, Barasat, Kolkata Housing Apartments of Fortune Realty. • Fortune Heights Barasat, Kolkata Flat Size, Price / Rate / Costs / Charges: - There are several types of flats are available at Fortune Heights like Duplex apartment, 2-BHK flat, 3-BHK flat etc and the Fortune Heights Flat price at Barasat, Kolkata are varies depending on the Flat Size. 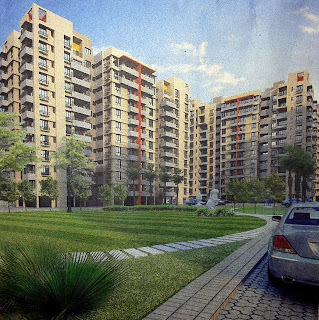 Fortune Heights, Barasat 2 BHK Flat (Apartment) Size – 818 to 940 sq. ft. and Price (Cost) 22.75 to 26.13 Lacs. Fortune Heights, Barasat 3 BHK Flat (Apartment) Size – 1070 to 1174 Sq Ft and Price (Cost) 30.28 to 33.22 Lacs. Fortune Heights, Barasat Duplex Apartment size – 1830 to 1976 sq. ft. and Price (Cost) 50.87 to 56.54 Lacs. Finance and Bank Home Loan facility is available at Fortune Heights Housing Project for the buyers. Bank Home Loan partners are Sate Bank of India and HDFC Home Loans. 30 years EMI Scheme starts only at Rs.870/- per Lac per month. • Fortune Heights Housing Project Site Address / Location: - Krishna Nagar Road, Barasat, near to Colony More, Barasat, Kolkata. The location of Fortune Heights, Barasat is easily accessible by train (Barasat Station) and by Road to Barrackpore & Kolkata though Jessore Road. Barasat Railway Station is only 10 minutes, Proposed Barasat Metro Station is 10 minutes and Dumdum Airport is only 20 minutes away from Fortune Heights, Barasat. • Fortune Heights Residential Project, Barasat developer details: - Fortune Heights Housing project of Barasat is developed by Fortune Realty, member of CREDAI Bengal. This residential project of Barasat is marketed by NK Realtors. • Fortune Realty website: - www.fortunerealty.in. • Flat Booking Process at Fortune Heights, Barasat, Kolkata: - People will get pickup facility for Fortune Heights Barasat project site visit and will also get Rs. 1 Lac instant Discount for first 50 Flat booking at Fortune Heights, Barasat. Construction at Fortune Heights, Barasat is in full swing. Fortune Realty, developer, has earlier developed famous Fortune City and Fortune Township residential project and now brings to you another Great Value, Grand Lifestyle project i.e., Fortune Heights in Barasat. Please email your queries to fortuneheights@nkrealtors.com or call 033-4040-1010 number. For further details please visit www.fortunerealty.in website. It is recommended to the peoples, who want to buy flats at Barasat, Kolkata (or nearby areas like Champadali, Barasat Dakbungalow More, Colony More, Madhyamgram, Badu Road, BT College, Birati, Jessore Road), to contact Fortune Realty as soon as possible to fill-out new flat booking forms of Fortune Heights of Barasat, Kolkata or to know whether any discount / offer is going on new Fortune Heights flat prices at Barasat, Kolkata.